We know that the best person to care for you is YOU. We know that the best person to know how to make you happy is YOU. We know that when YOU feel nurtured and cared for you can nurture and care for others in a much more peaceful, present way. BUT, we also know that for you to do all of that, you need the emotional support of a non-judgmental community that encourages you and celebrates YOU being YOU. The Abundant Mama Peace Circle is your go-to resource for personal growth, motherhood wisdom and creative soulcare inspiration. 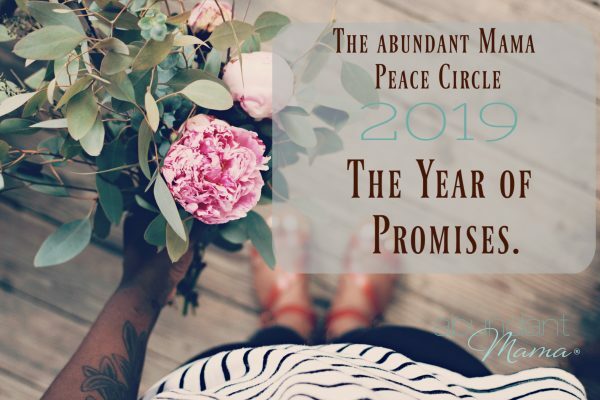 Built by and for highly sensitive moms, the Abundant Mama Peace Circle gives you ONE area to focus on in your life — offering a sort of daily background noise to being more intentional, more focused and more present. Your go-to place for finding real, honest help with everything you are facing as a woman. Your accountability partner in living a peaceful motherhood life with passion, flair and authenticity. The PUSH you need to mother yourself the way you need to be mothered. Your monthly membership includes our vibrant, supportive community along with the monthly intention resources that include a downloadable workbook, monthly podcast and a themed music playlist to carry with you everywhere so you never feel alone. Our members have been holding meet ups around the world — taking the friendships we build online into their offline worlds. And you are never alone in this journey — unless you choose to be. And that’s OK, too. We all need to hide in our quiet cave now and then and we fully support that.